NEW YORK—On Tuesday, the New York State Court of Appeals heard oral arguments on the question of whether or not local zoning codes designed to ban hydraulic fracturing or “fracking” take precedence over the state’s drilling and mining laws, which preclude local cities and towns from regulating the oil, gas, and solution mining industries. Lower courts ruled that localities could exercise their rights to make land use decisions in order to protect their citizens and environment from the impacts imposed by fracking. The plaintiffs, energy companies, and landowners still disagree. In December 2013, when New York City Comptroller Scott Stringer was Manhattan Borough President, he and Elected Officials to Protect New York filed an amici curiae brief in support of the defendant towns Dryden and Middlefield. Stringer argues that municipalities should maintain their right to make land-use codes, particularly ordinances that justifiably ban fracking. Six months later, as comptroller, Stringer’s position remains relevant and is highlighted by his continued efforts to protect localities from the negative impacts of fracking. 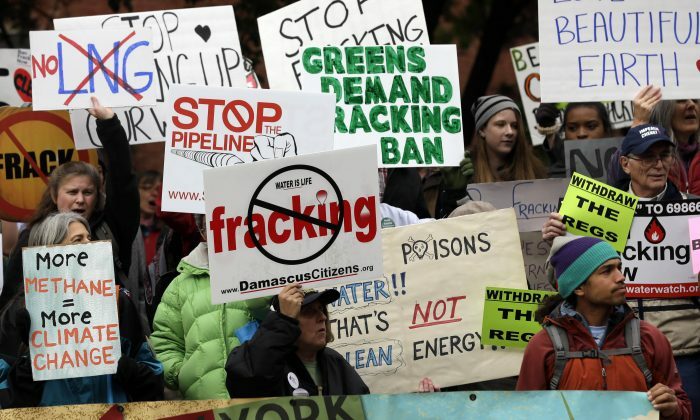 Although there is a blanket moratorium on fracking currently in effect in New York state, the Court of Appeals is still mulling over the question: “What did the representatives of the people, who ultimately have that power actually do?” according to a Wall Street Journal report. Fracking could be the key to a new American century, or at least a few decades said former CIA Director David Petraeus.